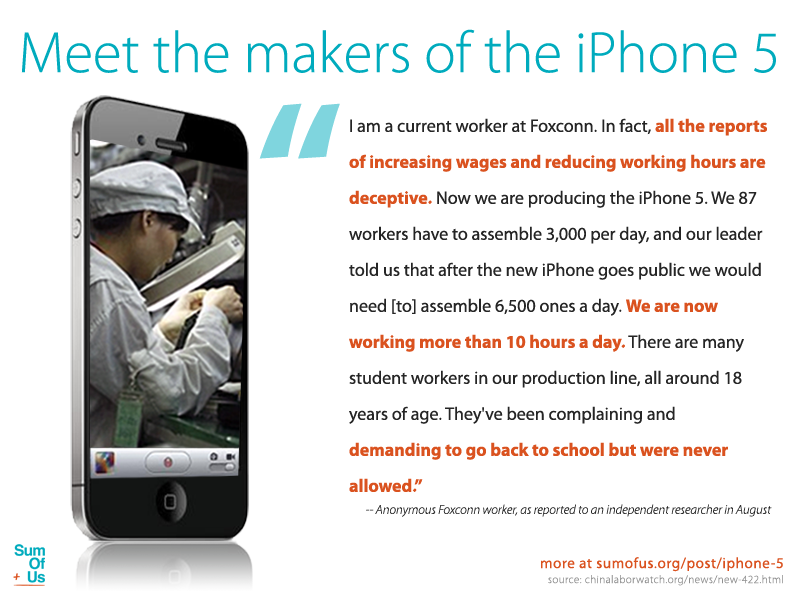 The iPhone 5: Been There, Done That..Is That Really All You've Got? Well, it's here. The speculation is now over, and there's no need for more leaked photos or specs. No need to wonder anymore if it will indeed have a bigger screen or LTE. The iPhone 5 has arrived in all its glory, and while it certainly is a damn nice piece of hardware, the entire Apple event made one point very clear to me: Apple is desperately trying to catch up with Android, and even with the release of this new flagship device, they still aren't even close. With that in mind, you have to admit that some of the points Apple listed as "features" were just downright ridiculous. Bad specs? Most definitely not. It's definetely rocking some very solid hardware. But is it anything new that we haven't seen before? Hellz to the no. Enough reason for Apple fanboys to mess with Android users? Not even close. Now don't get me wrong...the iPhone 5 is NOT a bad device. What makes me laugh about it though, is the way Apple sells it. They act as if this is groundbreaking technology, and Apple fans believe it! If only they knew that Android has been rocking these specs for almost a year now. The HTC One X debuted in February at Mobile World Congress, and even back then it was rocking a quad core processor, 1GB RAM, and an 8MP camera (with the same 3264x2448 pixels as the "new" iPhone 5 by the way), which pretty much matches/beats the new iPhone 5 across the board. But does that matter to Apple? Not at all. In all honesty, why should it? Apple fans WILL buy this device simply because most of them don't realize that the technology is nothing new (that and the fact that it's an Apple product). I honestly had to lol a few times when watching the event, especially when they started talking about "how difficult it was to make the screen 4inches". Are you kidding me? Look at the Galaxy Note 2's massive screen and quad core monster processor with 2GB of RAM (or the big display on the Galaxy S3) and then tell us about "how hard" it was to accomplish. Common. I honestly can't believe they can get away with this stuff. But one thing Apple does VERY well is to sell its technology as "groundbreaking", and they have certainly perfected this "art". And in ususual iPhone fashion, something is missing: NFC. Will Apple fans care? Probably not. I mean after all, you gotta have something to show off that's different for the iPhone 6 right? By the time iPhones get NFC, Android users will probably be beaming data to each other Star Trek style. Apple did introduce some cool new IOS features, and the phone certainly doesn't look bad (and yeah, it will run fast as hell). That being said, it looks painfully like the iPhone 4 and 4S, and certainly isn't anything out of Apple's norm. Whether Apple wants to admit it or not, Android is currently leaps and bounds ahead of them, and with Google's purchase of Motorola, Apple's advantage of "software built for hardware" is pretty much null and void. (The part with Siri being better built for sports scores and movies also cracked me up, as Google Now has pretty much bested Siri in almost every way possible). This is why I said earlier that Android desperately needs the iPhone 5. This is the proof that Apple is simply running out of ideas, and could be a great way for flaghship phones like the Galaxy S3 to gain even more traction in terms of popularity. I'm glad the iPhone is here, I'm glad consumers have more options, and I'm glad that Android has all the tools in its arsenal to prove to the world that its devices can be just as/more attractive, powerful, and feature packed as the iPhone. I'm off to get popcorn, as I have a feeling that HTC and Samsung are about to start the show with some good old fashioned LTE patents. What do you guys think of the iPhone 5? Is it just me, or is Apple playing a very similiar game as RIM? Small updates, thinner, periodic improved hardware, incremental software updates? @CJ - That's the thing...I see the iPhone as a cool phone, but I see Android as a phone / minicomputer. @Apple Conspiracy - Never thought about it that way. The screen size certainly does seem to be something that will most likely bring a pretty big level of fragmentation to IOS. Lets see how they handle it! @Nick Nicholson - I didnt understand this either bro. I think that this time, they really didn't have a choice, and as Apple Conspiracy says, they were obviously under pressure. That's right. Apple's principles were speaking against larger screen in any aspect there is. So this is a sign of pressure, the sign they don't feel so comfortable anymore. Of course, they are capable of maintaining any distance from competition, but those are effects of adaptability. @ Apple Conspiracy - It's possible the larger screen may backfire on Apple, for the reasons you've cited above. I can just imagine customers' reactions when they see their first letterboxed app: "But it has a bigger screen! Why does it look the same size as before? And what are those black bars?" I really don't understand why Apple chose to implement the larger screen. It goes against all their beloved "principles". But hey, I don't really care, I have no love for Apple, so I won't lose any sleep if there is a backlash from customers (and developers). The main problem with making screen larger is in backward compatibility for developers. Apple's platform was homogenuos and perfect in comparison with Android, that was fragmented and non-consistent in regard to resolution and aspect ratio. Apple could change the screen size to keep their original resolution and ratio, but that would mean they have to sacrifice the other end of their "perfect" system - portability in hand, which is, approve it or not, one of their most important principles. They had to keep the same width - that was the compromise they could take. On the third front, there is a problem of keeping the "retina" quality of screen in terms of pixel density. By increasing the screen size with same resolution they would end in below-300 PPI mark, which I know Apple would never let. Retina label is their utmost feature in years. And when they would increase resolution, it would make old apps incompatible. Standard 320x480 screen of iPhone, iPhone 3G and iPhone 3GS had a silky smooth transisition to Retina status by doubling the horizontal and vertical resolution to 640x960 pixels, keeping the same ratio, and enabled developers undetectable elegance in displaying their apps - they just quadrupled the number of pixels in one-on-one method. So, the problem is interdiscplinary. It's about balance between desnity, resolution, size and compatibility. They wre hardly pressed for this, and they did somewhat elegant transition: by increasing only one dimension for 176 pixels, equivalent to one row of app icons and apps like Siri, maps, photo shutter key etc. - so they kept the density, increased size, and got 16:9 reatio that is pixel-perfect to letterboxing of old apps. They also clearly didn't want to increase the screen even more - I think they would keep the screen at 3.5 inches if they weren't so pressed from the market. However, this is a compromise and I have no doubts that iPhone 5 transition will be difficult. Fragmentation is on the way - developers will need to adapt. It's still unclear to me how new 16:9 apps will be scaled down to old ratio - developers will be forced to make two versions of apps, and that's where we begin with fragmentation. It's also not "Appleish" to letterbox such apps - there are some theories of intelligent scaling like Photoshop's content aware scale, but this isn't exactly the level of elegance Apple was always bragging about. All in all - it was truly revolutionary to see this for the first time in iPhone. Big things are going on. Of course, only in Apple's world. And we should treat it that way - Android is another story and same rules don't apply. For a user that want big screen - there is always lots of choice. But for user that wants Apple - and everything that goies with it - it will be a tough decision. We will see how they can handle it. @Christoper - You nailed it. Pretty much sums up exactly how I feel as well. @Patrick - "Honestly, Apple could re-launch the first gen iPhone and call it the iPhone Retro and still outsell the GS3 in its sleep". LOL. Sad, but so true! @Donsaibot - I also got quite a laugh out of the Panorama mode statements from Apple. Reaching a bit far aren't they? @Apple Conspiracy - I have also heard that making the screen larger was a real challenge for them. I believe what you say about this, but any idea why exactly? So many people are doing it these days that it boggles my mind that it was such a challenging engineering feat for Apple. And yeah...I totally agree that they created this problem on their own as well. @Irinei Kalachov - I don't really want to compare the screen size to the Note, but simply the fact that they acted as if adding a bigger screen is such an incredibly hard engineering feat. Maybe it is (for reasons unknown to me), but HTC, LG, and Motorola have never had any big issues in making bigger screens. The Note's size is an exception, but there are lots of phones with bigger screens (Galaxy Nexus, Galaxy S2 and GS3, Htc One X, ect) that make me question why exactly it was so difficult to do. @Joshua Dapitan - LOL! Fight the power! :-D But yeah, I know exactly what you're getting at. @Stan Jez - Oh I totally agree. Apple is the KING of marketing products, and it seems like Samsung is paying attention. Apple is one of the only companies in the world that can air a tv commercial and have me humming the song the entire day. When it comes to marketing, no Android OEM comes close....yet. @CJ - Yeah, lots of people are upset about the new connector. Apparently it was done due to the new size of the phone, but who knows...it might just be a way for Apple to continue making a steady amount of $$$ on cables and accessories. Excellent comment! This is precisely what is happening. The huge risks involving apparently simple thing like changing the screen size only shows that Apple is hardly pressed from the competition and that they must adapt, even incrementally, despite the fact that they are still trying to distance themselves from competition by purposely rejecting any from of compatibility with the standards of the industry. The screen size change is a symbol of the fact that general consumer masses are now influenced by two, and not just one story. Firstly, they were establishing their criteria only from Apple. Now, they begin to establish it from the Google, too. It's not an one-on-one battle of course, because I would say it's more on the side of Apple still, but it might be the indication of what could happen in some forseeable future, and that won't be good for Apple. They are starting to get short of credits for "unconditional love" from their customers. But the thing is actually very simple: masses will stop following Apple's lead only when high-culture (in this case tech enthusiasts) break through mass culture (in this case - average consumer without any knowledge on technology) in form of viral, pandemic multiplication of trend. In the last couple of months, and also with the patent infringement story, this started to happen. Now, we actually see there is growing number of "Samsung fanboys" and "Apple haters". If we look everywhere on the Net - hate towards Apple is stronger than ever. However, it is only a reflection of high culture, the enthusiasts - in terms that they are interested in the issue. Mass culture still doesn't reproduce this trend. On the other side, Apple has yet againg stirred the waters, and gained enormous publicity, thanks to the sustained controversy. And knowledge of "specs nazi's", positive and rational thinking of tech site editors around the world are now again praising Apple for being themselves - elegant and balanced, directed to average consumers with top-notch service, quality and aesthetics without the need for true innovation - gains popularity to Apple again even in many enthusiast circles. @Apple Conspiracy, I agree that shifting to a different screen size poses several technical problems. Avoiding fragmentation being in the forefront of it. Apple may or may not have an elegant solution, only time will tell. But it is a problem they created. They designed iOS to run on a specific device, as opposed to the generic approach of Android. Hence, any hardware change, however miniscule it may be, will probably require massive changes in the code. What is important for is is that they did it and it may be an indication of some growth in their outlook. Apple is used to dictating to their consumers what the device should be, how it is used and what will run on it, from the screen size, to the lack of removable storage etc. and by doing so, have avoided technical issues faced by android. But now, they are finally starting to listen to what the market demands. 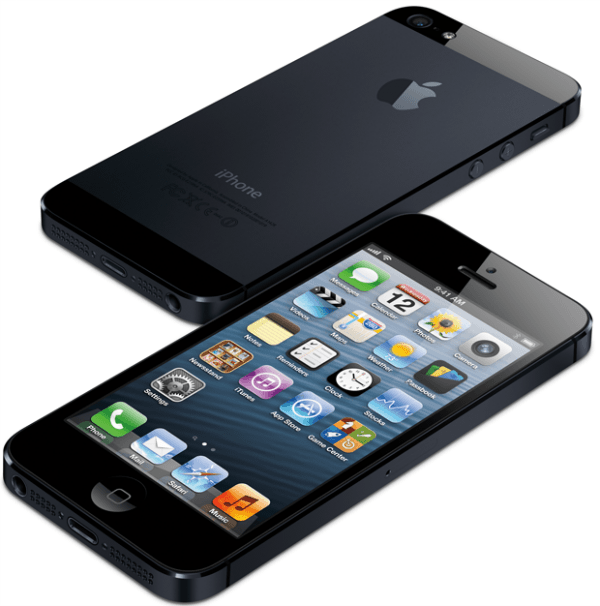 The improvements in iOS 6 and the iPhone 5 may nominal, but it may be indicative of a shift in their development mindset. Hopefully, if they continue down this path, we could be in for a new era in leaps and bounds innovation from both Apple and Google as they challenge each other to even greater heights. I think, somewhere in Apple, they are realizing that they are losing the technical battles, iOS vs JB, iPhone 5 vs GS 3 GNote 2 Razr and One X (maybe the nexus too). They are however winning the popularity contest (the one that matters). No single handset can beat the iPhone in sales - the GS 3 recently did, but will that was during the inevitable dip in iPhone sales at the dawn of the iPhone 5 announcement. However, how long can that last if the development trend going on now continues? And now for something serious! I love you and your posts! android users beaming data by 2013? that was hilarious. i think we're starting to see a general type when it comes to apple users, namely people who get excited whenever they announce a new phone. i'd say they are the followers of the pack, and im sure most would agree. Once you invest in an iPhone5? Then all your accessories for iPhone3,4,4s become obsolete, too - Why? APPLE decided to change the size of its "plug in port" for the iPhone5 !! Apple certainly markets itself well and other manufacturers should look at improving on their own marketing strategy. I suspect that no matter where you are you probably have experienced the press and media frenzy over the "exciting fantastic new iPhone". when Samsung launched their S3 the press were all but silent except for a couple of light hearted news programs which made fun of the Samsung line that it was "made for humans". Today I've heard glowing news items, in between the sad news of the consulate deaths in Libya and the workers deaths in Pakistan, of the Apple launch, media communications experts waxed lyrical about this great innovative company, and no doubt the press and radio tomorrow, will have a feature story about the launch and innovative design speed and functionality. I often wonder whether the media has shared in the company. You don't get this frenzy when a new washing machine come out, or a new tv. Apple certainly has marketed well and gets huge free advertising. Such device has brought nothing new to the table, NOTHING! 2. 4G LTE? Most High end droids has such, and even the Mid ranged ones. 3. Siri Can Open Apps? S Voice has such! 4. They say that their slightly enlarged screen is the biggest? Compare such to S2 which was last years biggest phone? 6. Panorama shots? SDLR HAS SUCH! AND WHEN IT COMES TO MOBILE PHOTOGRAPHY DROIDS HAS SUCH! 8. FaceTime via Mobile data? GOOGLE TALK AND GOOGLE+ HAS SUCH FOR YEARS! 9. Flyover of the Map? AS IF GOOGLE EARTH DIDN'T EXIST! 10. Siri Knows about MOVIES AND STUFF? THEY SUED GOOGLE NOW AND EVEN UTILIZED SUCH A.I. POWER! Whatever! GO ANDROID TEAM! WITH SUCH MASSIVE POWER! TAKE DOWN THE COPY PASTE BEAST WHO DOESN'T KNOW ANYTHING ABOUT A VARIATION OF ALGORITHM TO EMULATE SIMILAR FUNCTION! And By the ways, Apple fanboys doesn't even know what an Algorithm is. I think it's not right to compare iPhone's 4 inches to Note's 5.5. Not everyone wants a shovel like that. I'm happy with my Nexus' screen size, but when it gets in any girl's hands they go like "gosh it's big!" (no pun intended). If Apple would have made the screen bigger, they would probably lose a big share of female buyers because the phone would be deemed too big to fit in their hands. Don't forget that the company has only *one* phone model, thus it must be made as universal as possible. Okay, now I am excited over my GALAXY NOTE! So apparently I will be getting GS3 and GNote 2 features pushed OTA or through Kies on my GNote. Yay! There is one objection that I must make on your article: the question of screen size, where you ridicule this intervention as hilarious in comparison to other devices out there, like it's the most simple thing to do. We should not compare screen size development with Android or other platforms. Changing screen size was one of the most difficult challenges for Apple in various aspects, and I could write a small book explaining why. I spent almost a year trying to figure how they could do this transition. It's not simple as in Android, which enables much more fragmentation and have DIP (display independent pixels). In my opinion, they did that fairly elegant, but not with that elegancy Apple has always bragged about. They are obviously under great pressure from the market. They just HAD to do it.